Christmas came early for Real Madrid’s star-studded squad after the club’s long-standing sponsorship partner, Audi, dished out a new set of wheels to each player. Part of the sponsorship deal- currently in its eleventh year- allows players to select their car of choice within Audi’s latest catalogue. True to form, Cristiano Ronaldo opted for the super quick and powerful 520-horsepower, twin turbo charged S8 sedan, mirroring his often unstoppable athletic prowess on the field. 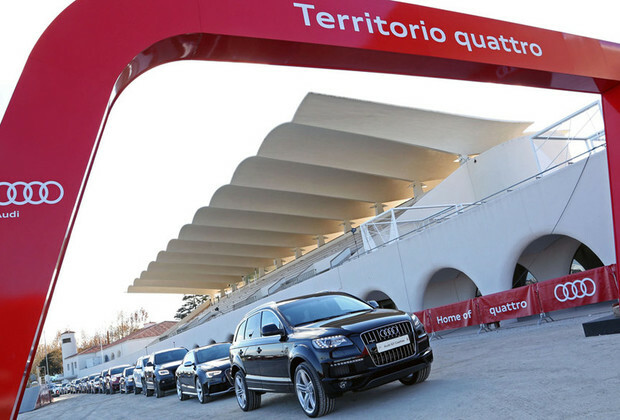 The most popular model chosen was the Audi Q7. Twelve players including the likes of Gareth Bale, James Rodriguez, Luka Modric and Iker Casillas must have been sold by the SUVs bold stature, efficient sporty performance and impressive versatility. The other options scooped up were the SQ5 and S7 Sportback coupe favoured by German playmaker Toni Kroos. Not to be excluding in the festivities was Los Blancos’ head coach Carlo Ancelotti, who drove away in the elegant A8 3.0 TDI to match his cool, calm understated demeanour. Images sourced from Audi MediaServices.